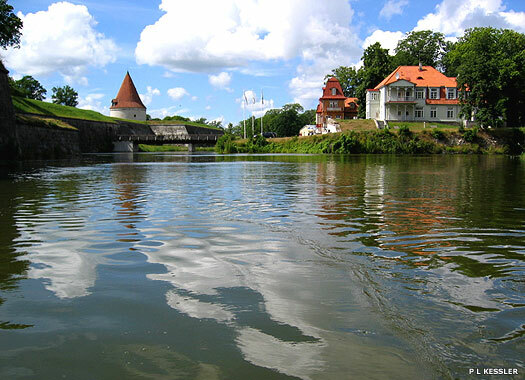 Kuressaare Episcopal Castle is also known as Kuressaare Stronghold, the Bishop's Palace, and perhaps less commonly by its old German name of Schloβ Arensburg. It dates to the early thirteenth century and is sited on the south-western edge of the town of Kuressaare in Saaremaa, with Lääne Meri (Western Sea) behind it. The position was selected because the important roads from inner Saaremaa have always converged here. Another reason was because this was an ancient port for trade even before the arrival of the German crusaders, when the people of Saaremaa were feared as the piratical raiders known as the Eastern Vikings. The Livonian Knights conquered central, southern, and western Estonia by 1227, and a small and modest stronghold was built by the governing authority: the bishop of Ösel-Wiek (the German names for modern Saaremaa and Läänemaa counties). The bishop ruled his domains as a semi-independent prince after the region's conquest, but it wasn't until after the St George's Day Uprising of 1343-1345 that Kuressaare was turned into a large and powerful stronghold, built of local dolomite marble and surrounded by a rectangular outwork, a moat, and a rampart. When he visited from the mainland, the bishop would reside in the inner courtyard area. 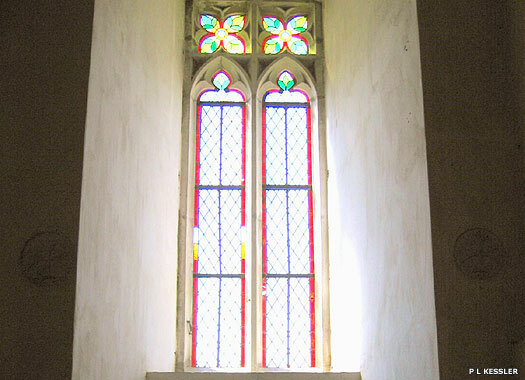 The main building work was completed in around 1400, covering three floors. The first floor is partially below ground level and provides storage areas, while the main floor was designed with two-nave representational rooms, a chapel, a festive refectory, and covered arcades. The top floor typically served for defensive purposes. On one corner is the Sturvolt defensive tower, while its more slender brother is the Tall Hermann watchtower which is separated from the rest of the stronghold by a deep pit which was crossed by means of a drawbridge. 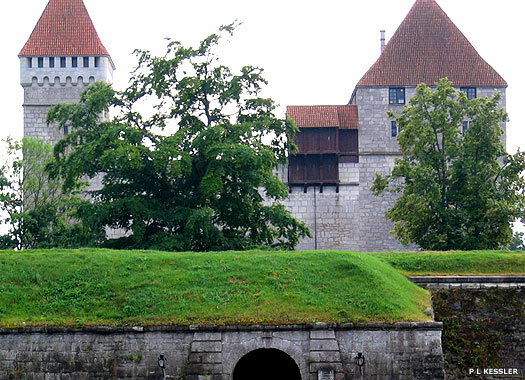 In the fifteenth century the main stronghold was surrounded by a large frontal stronghold that was turned into earthworks with four strong corner bastions in the sixteenth and seventeenth centuries. 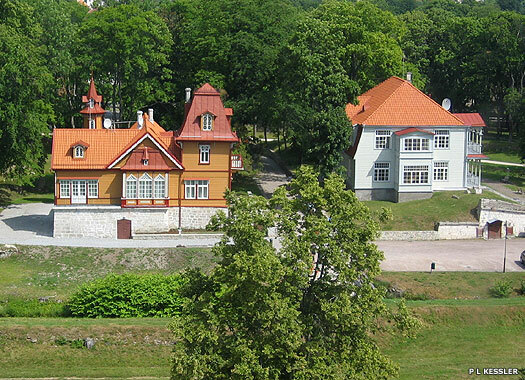 During the Livonian Wars (1559-1583), the castle was almost the only one not to be touched by the wars, and even now it retains its Medieval form. 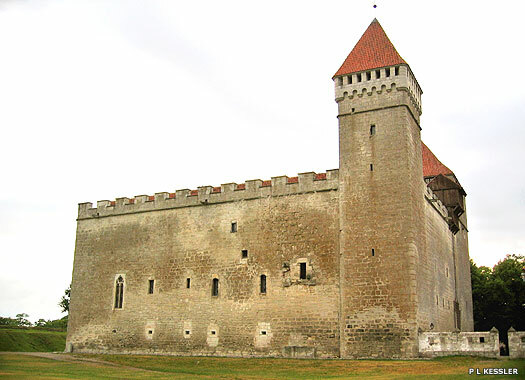 In 1559, the last German prince-bishop sold the castle and the town to Denmark, and the Danes created a duchy out of Saaremaa. 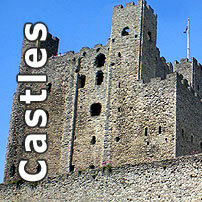 The town that had grown up around the Bishop's Castle was granted the status of an independent city in 1563. 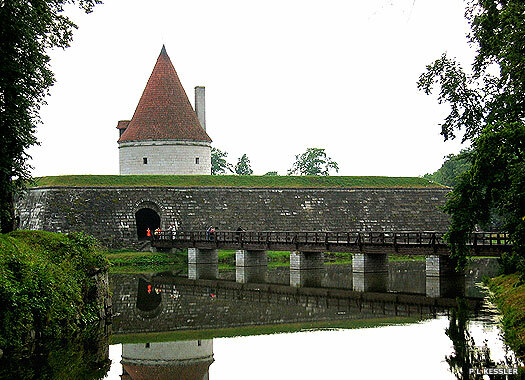 During the Great Northern War, the castle was partially damaged in 1711, but later repaired, and in 1836, it was removed from the list of Russian fortifications. Full restoration work was carried out in 1968-1985, and the castle now houses the Saaremaa Museum of History and Nature, and also provides a venue for various cultural events.